Hello lovelies!! Welcome back after what was a truly special Thanksgiving for us. How was yours? We hosted and ate and ate and ate. It was all good, all around. We are in full steam ahead mode for Christmas decorating around these halls which basically means that there are bags, and boxes, and boxes of bags in every corner of the house. My hubs spent all afternoon on Sunday (where he found the energy, I will not know) getting the exterior decorating done and now it's up to me to lead the charge on interior design. We have a tradition of building our artificial tree on Thanksgiving Eve, with my parents and aunt, and hanging our stars of gratitude first. It's now also become a tradition that I misplace the directions for said tree, and we have to guess what branches go at what height. Our artificial tree is nearly 20 years old, and my husband and I celebrated our first Christmas holiday as friends decorating it so the tree has layers of meaning and nostalgia to make up for the bare spots and weak limbs. 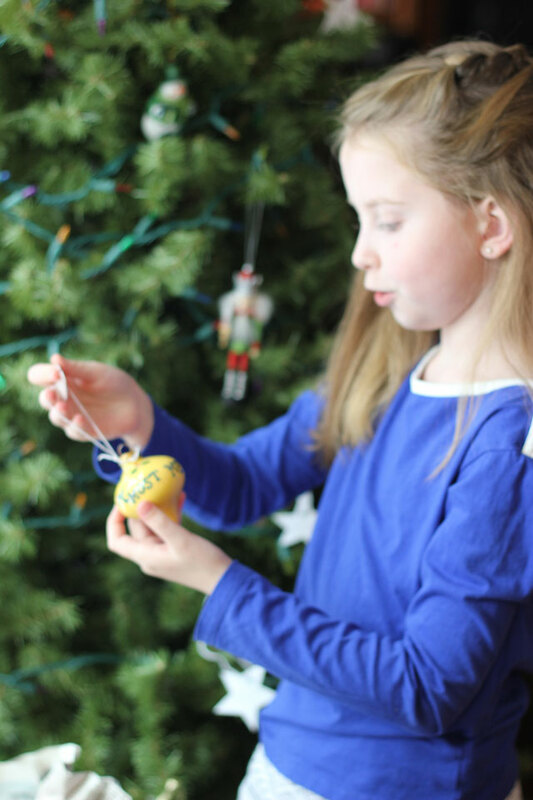 This year the kids wanted to see the ornaments so I gave them the job on Thanksgiving day to hang our special ornaments from vacations and performances past. I was surprised to see how attached each one is to certain favorites, and how many stories they know of objects older than them. 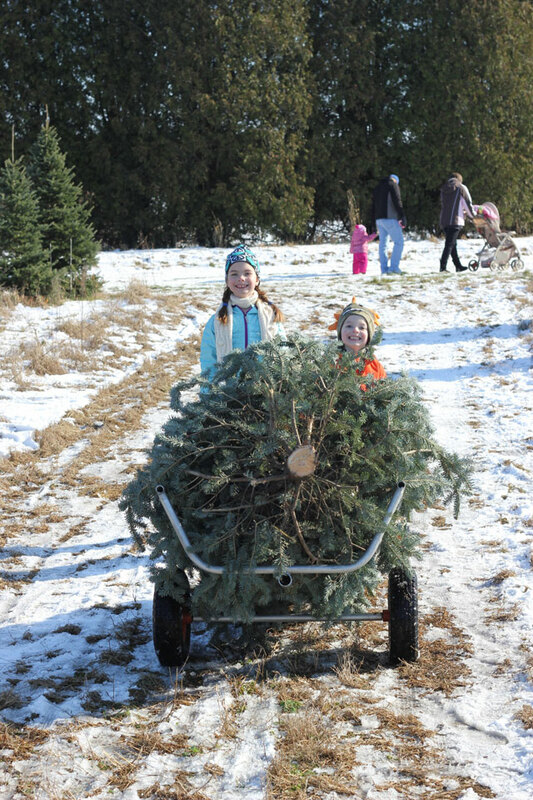 Last year we began a new tradition of cutting our own tree at a local nursery. This particular location is all about the experience of the event - with hot cocoa, sleigh rides, Mrs. Claus and Santa - and I eat it up. I feel guilty cutting down a living, amazing tree, but I also know how much we'll love that tree for the next month or two. And just how much it will add to our holidays. He's yet to be dressed with loose tinsel and white lights, but his smell has filled our car and our home with the fresh scent of Christmas! 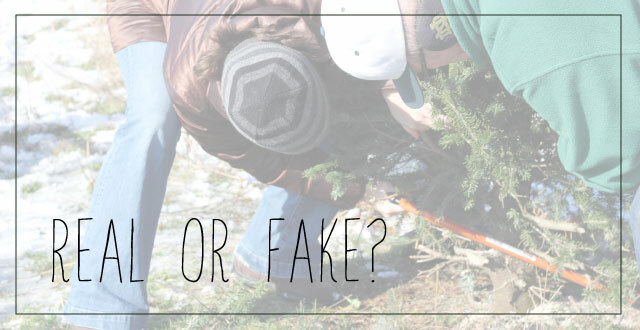 So what's your tradition: real or fake? Or a bit of both? I've seen some amazing ideas floating around Pinterest for trees made of tape or trees made of books. 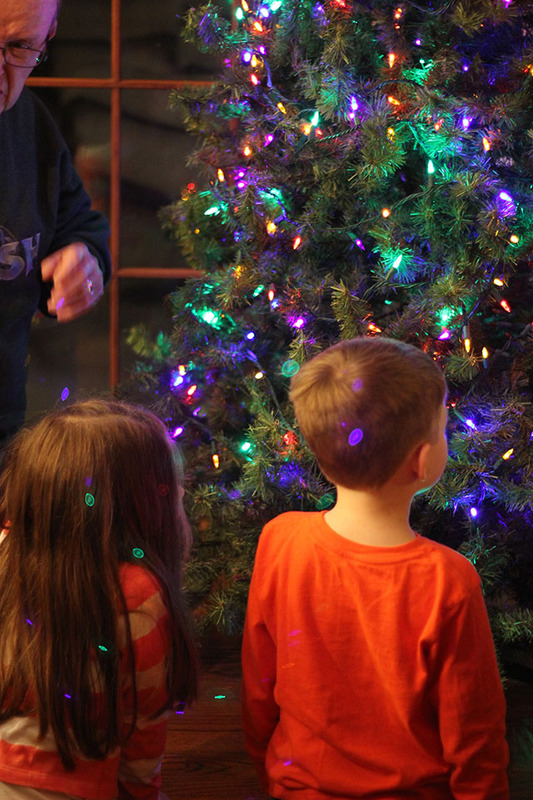 Are you creating your tree this year? PS. Join me tomorrow for another great Fresh Holiday Tradition! !